If you are looking for a traditional tea room in Astley or the surrounding area, there is surely none better than one situated in the grandeur of Damhouse, a magnificent 16th century manor house. 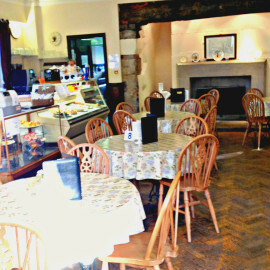 The Tea Room at Damhouse is to be found on the ground floor, and provides a warm and welcoming atmosphere for visitors to the house, or those just wishing to take tea in style. 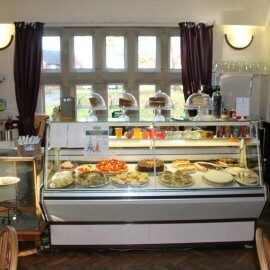 The Tea Room at Damhouse in Astley boasts a wonderful selection of light bites, teas and cakes. We are also licensed. It is the perfect place to take coffee in the morning or tea in the afternoon, and we have a range of delicious desserts, including our hand-made cakes and daily home-made scones. 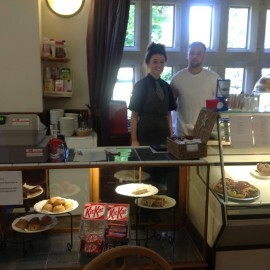 The Tea Rooms are open: Mon – Fri: 09:00 – 17:00 Sat – Sun: 10:00 – 16:00.